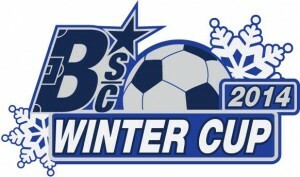 The Buffalo Soccer Council is proud and excited to announce the details of the organization’s first official event, the 2014 Winter Cup. The Winter Cup outdoor soccer tournament is to be held as part of the Olmsted Parks Conservancy’s Flurrious! Winter Festival on Saturday, February 1, 2014 at Buffalo’s Delaware Park. As part of the Council’s efforts to strengthen local soccer, the Winter Cup will combine the area’s love of the beautiful game and the region’s beautiful winter weather. The tournament will be a 4-v-4 format and provide each team with a minimum of three games. “We at the Buffalo Soccer Council want to extend our sincere thanks to the Flurrious! coordinators and everyone at the Olmsted Parks system for giving the Buffalo soccer community an opportunity to shake off some cabin fever and have a great time at one of the best winter events our city can offer,” said Russ Andolina of the Buffalo Soccer Council. Registration is just $60 per team (maximum 6 people per roster) through January 24. The deadline to enter is Friday, January 31 and space is limited. A portion of each team’s entry fee will be donated to the Olmsted Parks Conservancy. Kickoff for the first match will be promptly at 10:00am, with registration beginning at 9:00am. For more information on the tournament, or to become a member of the Buffalo Soccer Council, visit buffalosoccercouncil.org. To support Buffalo’s Olmsted Parks, you can visit their website at bfloparks.org.